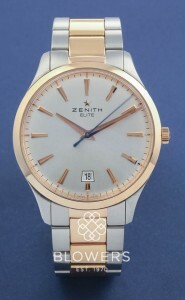 Zenith operates from the same site in Le Locle, Switzerland, since it began in 1865. 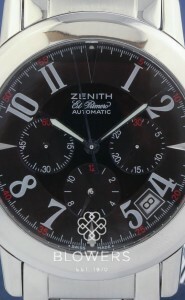 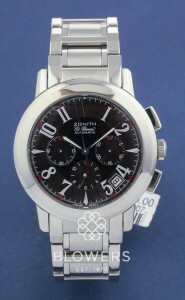 Zenith released its first chronograph in 1899. 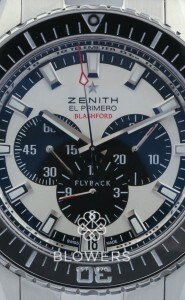 However, its most iconic chronograph remains the El Primero, introduced in 1969. 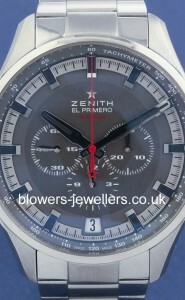 While Zenith continues to make other movements, including remarkable tourbillons, it will forever be associated with the legendary El Primero chronograph. 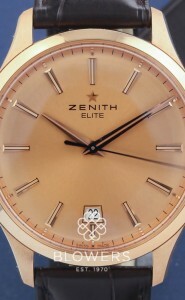 Key collections include Defy, Chronomaster, Elite, and Pilot. 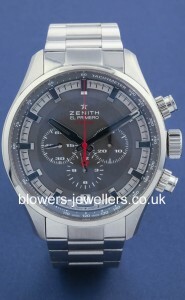 Browse our selection of unused, used and pre-owned Zenith watches below. 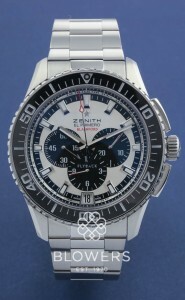 Can’t find the model you are looking for? 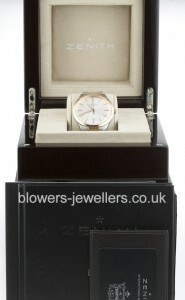 Get in touch and we will endeavour to source it for you. 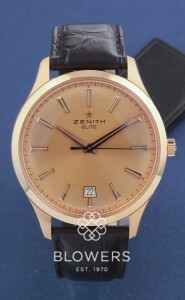 Watches can be viewed at our Kingston upon Hull boutique, or by appointment at our London office in Mayfair.